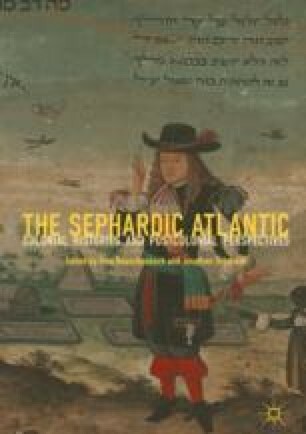 This chapter deals with a fundamental issue of the Iberian Jews’ teleological discourse: the birth and consolidation of the Portuguese Empire. Beside the central topic of the Lost Tribes, we can observe other signs of this phenomenon since the beginning of the sixteenth century, when some conversos considered Portugal the last land of the diaspora at Europe’s western end; or when some Jews showed a clear sympathy toward Portuguese conquests and successes. But what in this case seems a more pragmatic attitude leads us to ask if it is related to a messianic dream, to take part in a universal adventure which will end with the imposition of a universal Jewish order? And what is the relationship of this “Jewish” universal lucubration with the creation of a Christian messianic discourse at that time? I am very grateful to Professor João Teles e Cunha and Dr. Hugo Martins for their help in translating this text. I am also grateful to Professor Jonathan Schorsch, for his editorial comments and his additional efforts of harmonizing my English. Ekua Yankah did the final editing.